SUMMARY: ‘Would this activity motivate my students?’ – well, let me ask you a question: ‘Would your students want to do this activity if they were not in the classroom?’ This workshop aims to present some key elements which ensure just that – and you can try out the activities for yourself tomorrow! ABSTRACT: I believe that the acid test for whether an activity is highly motivational is the following: ‘Would the learner want to do this if s/he were not trying to learn the language?’ If the answer is ‘Yes’ then it is safe to say that students are going to like it. In this workshop, I intend to use examples of four distinct types of activities all of which I have found that the students like. The Self-Relevant: People like activities where they get to talk about themselves. Such activities lead to natural communication and lead to greater bonding between classmates. Puzzles: We are compulsive puzzle-solvers. Once they have a specific puzzle to solve some students get so involved they may not even notice that the lesson is over! High-Arousal Activities: Students like fast-paced activities, especially if the latter have a competitive element. If students know there is going to be a contest, they may even spend time preparing at home! 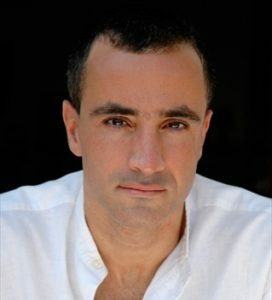 Nick Michelioudakis (B. Econ., Dip. RSA, MSc [TEFL]) has been active in ELT for many years as a teacher, examiner and teacher trainer and he has given presentations in numerous countries. He has written extensively on Methodology, though he is better known for his ‘Psychology and ELT’ articles in which he draws on insights from such disciplines as Marketing, Management, and Social Psychology. He is particularly interested in student motivation and humor (he has his own YouTube channel – ‘Comedy for ELT’). For articles or worksheets of his, you can visit his blog at www.michelioudakis.org.